I left the Anselm Hall at Canterbury Christ Church University with vivid impressions of all three works on the latest programme from the Canterbury Orchestra conducted by Andrew Lowen. Although the main focus was obviously on Brahms’s second symphony, the two works in the first half were well worth bringing before concert audiences. The programme began with Dvorak’s The Noonday Witch based on a Czech folk tale and dating from 1896 which must be one of the easiest of programme pieces to follow. The orchestra captured the changing moods most effectively with confident wind playing, some dramatic effects from the strings and a warm toned brass section. 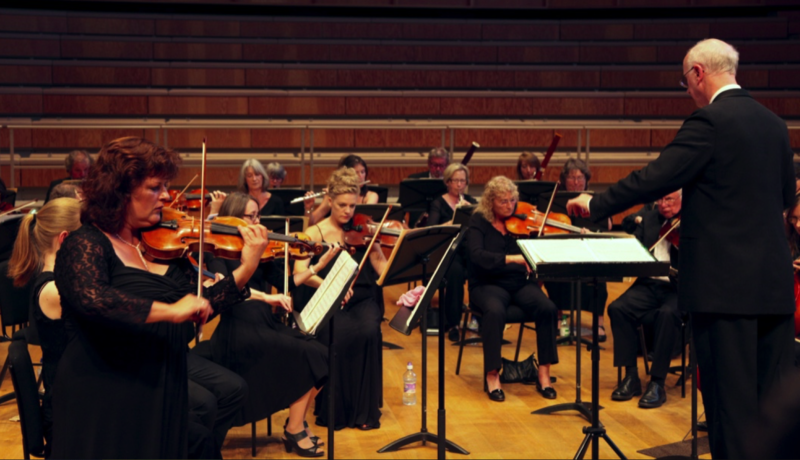 Although there was a little insecurity of intonation and ensemble, there were some lovely, lyrical moments, an impressive, full sound from the orchestra as a whole and all brought to a strong climax under Andrew Lowen’s clear direction. Elgar’s Wand of Youth Suite No.1 followed and this was typical Elgar. The Overture held my attention from the outset with excellently clear textures and wonderful expansive passages. Another highlight was the Slumber Scene in which the well blended string sound still allowed the individual lines to be heard. Similarly, Fairy Pipers evoked a beautifully peaceful atmosphere. Only the last movement, ‘Fairies and Giants’ proved to be rather uneven with victory going to the giants. Overall, however, all the movements benefited from Andrew Lowen’s clear and sensitive guidance which enabled the atmosphere of each to be expressively communicated. It was Brahms second symphony dating from 1878 which was intended to be the highlight and so it proved. The programme notes rightly drew our attention to the rhythmical elements of the work and it was clear that these had been given great attention. Some of the musical motives were clearer than I have ever heard them. The wholeness of the first movement was remarkably well maintained with great momentum, lovely quiet playing, good contrasts, and spaciousness and energy in due alternation. I felt that the second movement took a while to settle and posed some technical challenges but it did have a genuine warmth of feeling later in the movement. The third again showed the attention to rhythmic detail which was so convincing earlier and carried the listener along with its relaxed feel and lyrical melodies. I liked the gradations of tempo in the final movement and although there was some loss of purpose at times it began and ended with great confidence. This was affirmative and uplifting playing, capturing the essence of Brahms. It did the orchestra great credit and clearly justified the decision to take on such a huge work. Another Brahms work in the future?